You will hear your fair share of criticism at work. It’s inevitable. 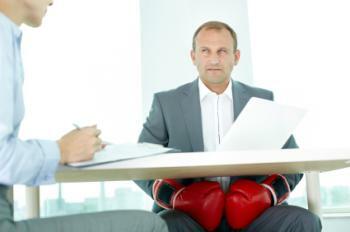 How you take that criticism and what you do afterward can make or break your career. See the other person’s point of view. Whether it’s your boss, a co-worker, customer or someone else, try to see the situation through that person’s eyes. For example, you aren’t on track to hit a goal because, in your opinion, it’s unrealistic. However, after you came into work late three times and left early twice in the last 10 days, your supervisor feels that you aren’t putting in enough effort. Accept that the other person might just be right. Acknowledge where you went wrong. Listen carefully, don’t interrupt, and don’t become defensive and rush to explain yourself or offer excuses. Don’t do the opposite either and shut down or refuse to participate in the discussion. If you have a day or two to reflect on what happened, take it. However, if you need to respond in the moment, at least pause and process what was said before you respond. Admit—to yourself first and then to the other person—that you can make some improvements. Ask what you can do to fix the problem. As much as you may want to run away with your tail between your legs, this is your chance to show criticizers that you’re professional and devoted to becoming a stronger, more competent employee or co-worker. Before you leave, gain clarity on exactly what you need to do to bring your performance or behavior in line with the other person’s expectations. Commit to making changes. This can’t just be lip service either. You must make a serious effort to improve. Take the feedback seriously, list the steps you must take to turn things around and get to work. What can't you live without at work?